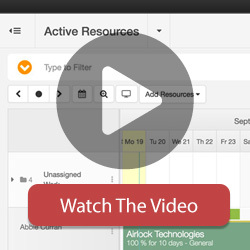 Hub Planner Timesheets is a powerful extension for the Hub Planner platform. It allows your resources to login and track the actual time they worked on bookings or events. Our Timesheets module is located under the same umbrella as the Scheduler, giving you the advantage of staying in the one place when you do your time tracking and scheduling. This also makes it possible for resources and admins to see and understand more clearly the context they are reporting time under. For example if you have “Display Scheduled Time” activated then you will be able to always see the booked time you are scheduled when submitting time. You can further extend the power of timesheets by adding the Approval Workflow extension. The details of what this extension provides can be found here. Timesheets data is also collected in the Report section. The comparison of booked versus actual time is an interesting metric which you can generate reports from. We take usability and design very seriously at Hub Planner, and that is echoed in details throughout the entire platform. The timesheets component should feel responsive and well designed. Adding time at the end of the week is supposed to be a simple painless task and that is behind the UX of the Timesheets component. For those who don’t want to see all time entry details from all of their projects can click the ‘Minus / Plus button’ at the top of the Timesheets page to close down all the time-entry sub rows. This view will show you only an overview of all your projects and reported time. To see detailed time entries of each projects, you just need to click the same button which turned to ‘Plus’ button now. This will expand all the projects again. You can also tap on a single project to expand only one at a time. View options under the ‘Eye’ button allow you to adjust the timesheets to a smaller or larger resolution.